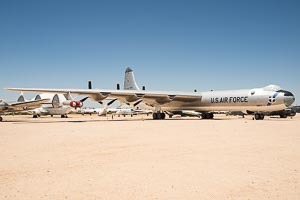 The Convair B-36 Peacemaker is a ten-engine long-range heavy strategic bomber aircraft with a maximum weapon-payload of approx. 86,000 lbs (39,000 kg) produced by the US-American manufacturer Convair, Consolidated Vultee Aircraft Corporation. The B-36 is equipped with six radial engines in pusher configuration and four turbojet engines. 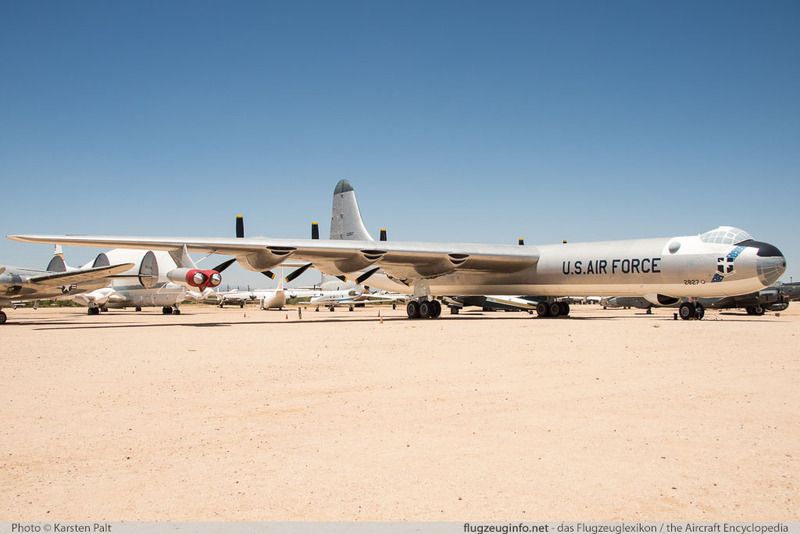 The B-36 ist the largest bomber ever operated by the United States.